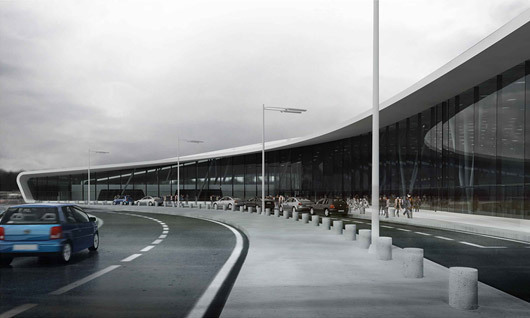 A Polish-Spanish consortium has won the competition for the new New Lublin International Airport in Poland. 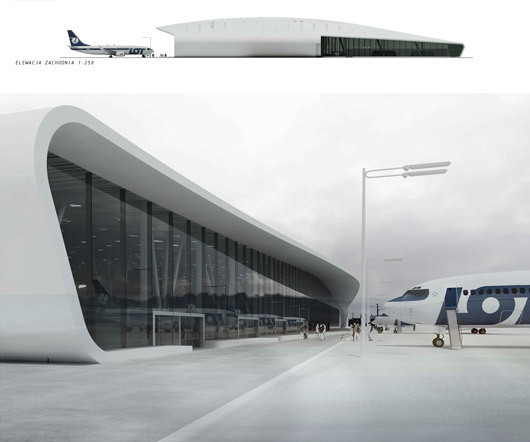 The program foresees a massive airport renovation and expansion with an administrative building, control tower, and a 17,345 m2 terminal. 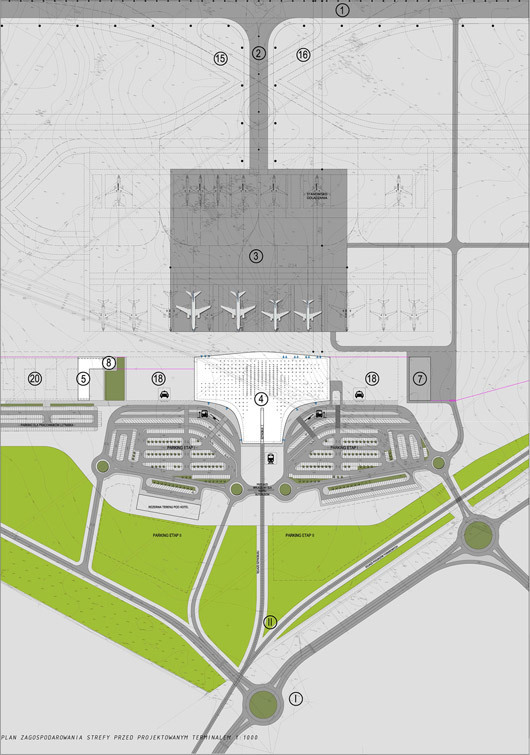 The winning consortium consists of SENER IngenierÃ­a y Sistemas, Spain (technical coordination, airport master plan, functional project of terminal, calculation of buildings area and number of parking spots), ARE, Poland (architectural design of the terminal building, flight control tower, administration building and airport maintenance facility building, graphical presentation), SENER, Poland (parking and airport circulation system, coordination of work), and Polconsult, Poland (runway infrastructure). 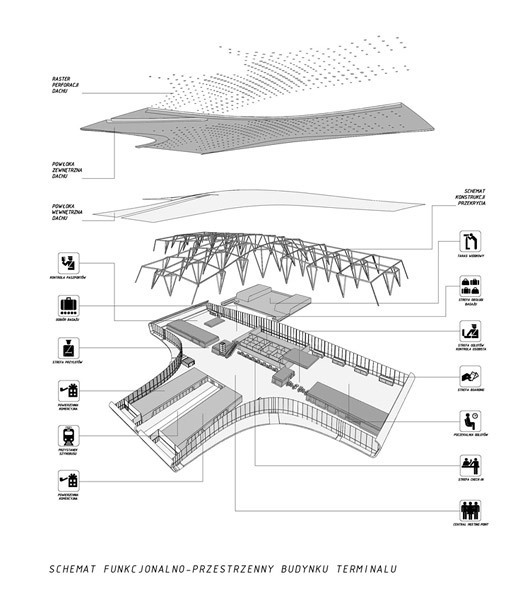 “The main high capacity building is the terminal building. 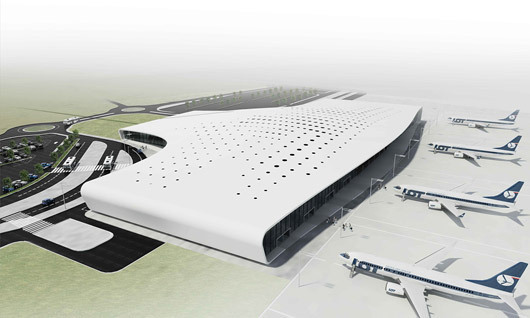 It was designed as a three-wing hall containing both functional zones: the airside zone, enclosing luggage sorting plant, waiting rooms and luggage claim hall with all accompanying rooms as well as the landside zone enclosing check-ins, railway station and commercial facilities like airline offices and gastronomy etc. 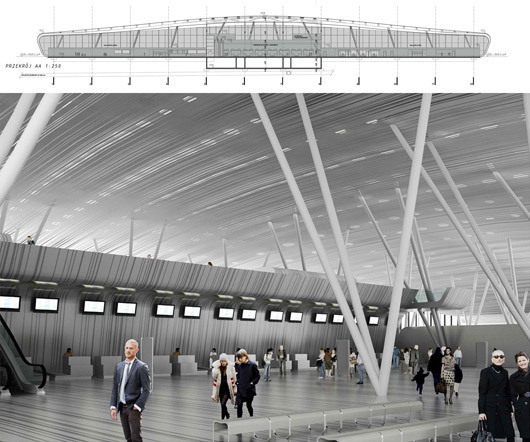 All images by Port Lotniczy Lublin S.A.